Bullseye is one of those slots you can start playing almost immediately after opening. The only thing you first need to do is determine your wager. You do this by configuring the number of coins per pay line and the coin value, the latter of which can be done on the dartboard. There also is an autospin function and in order to activate it, you will need to press the Expert button on the gray bar underneath the playing grid, below the spin button. If you want to play manually, just use the spin button. And playing automatically might be your preferred option as the autospin only has five and ten automated spins at once, which is far too few. The bull functions as the wild symbol and can substitute for all other symbols except for the scatter and bonus symbol. Bullseye is a fun slot by Microgaming on which the entertaining theme really adds to the experience. The slot has a simple layout with its five reels and three rows and the bonus game and free spins make it an above-average slot. Also, it has a wild symbol but does not have a jackpot bumping up the fun. However, one could argue that Bullseye doesn’t need this extra fun. Bullseye has a bonus game which fits very well with the overall theme. In order to reach this bonus game, you will need the bonus symbol on the first and fifth reel. When this happens, you go straight to the bonus game. Here, you have five darts which you have to throw. Behind each number on the board, there’s a prize and these prizes might be pretty large. However, you do have to manage to get the dart on the position you clicked on. A fun and easy bonus game! When the scatters lands on your reel three times or more, you will enter free spins. You receive 15 free spins and all wins will be doubled. This makes free spins very fun, especially when considering that you don’t have to pay for them! During free spins, you can win extra free spins, allowing you to continue playing with this great multiplier. Bullseye does not have a jackpot. However, wins can really add up during free spins and the bonus game -when you know how to throw right, that is. This slot does not have pay lines. 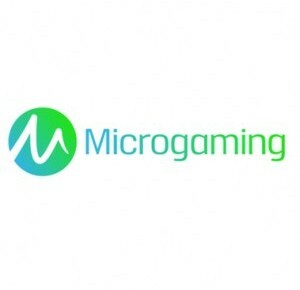 With its five reels and three rows, 243 ways to win is the most logical way to go, and that’s what Microgaming has done. This slot isn’t very special and won’t receive a special amount of attention, but it does have everything to become a success. “Why?” you ask? It is an easy-to-play slot, it does not have annoying features, and it does have great free spins and a fun bonus game. All in all, Bullseye has everything a slot needs to be fun but nothing more.